Plant Labels | Walters Gardens, Inc.
With such a wide variety of perennials available, informative color labels are essential for providing your customers with the information they need to make solid purchasing decisions. We offer Premium XL™ Labels for all non-branded plants we sell. We are in the process of phasing in a new updated style for our XL labels (shown right) that includes the plant name at the top of the label. You may receive some of our previous style labels or the new style as it is transitioned into stock. We thank you for your patience during this time of transition! Proven Winners® labels are required for all Proven Winners® Perennials. We offer a US version (English/Spanish) and a Canadian version (English/French) for the stake style labels. Our premium square labels are trilingual (English/Spanish/French). Most varieties of Proven Winners® Perennials come with the stake style label (shown here) which measures 6.75in tall x 2.25in wide. The cost for these labels is included in the RMT amount. Successful trials with customers has revealed that this larger label does an excellent job of selling plants. 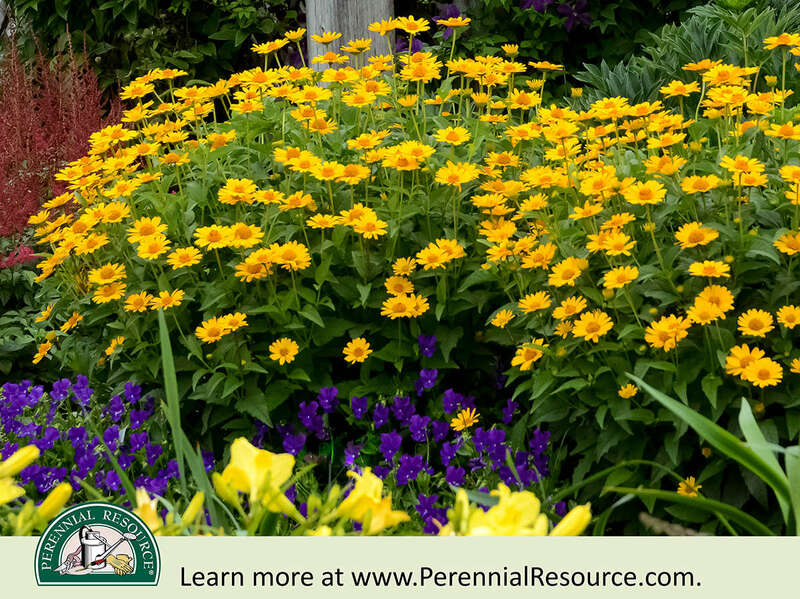 It has much greater visibility, especially on larger perennials where the smaller stake label typically gets lost in the foliage or tends to slip down into the container. Green, 8" quick clip display stakes are priced separately and are included automatically with your labels unless you instruct us not to. Labels are required for all Proven Winners® Perennials, patented, and patent pending plants. The cost of the Proven Winners® Perennials stake labels is included in the RMT amount. All other labels are not included in the price of the plants. Labels for non-patented and generic varieties are NOT automatically sent and should be ordered when you place your plant order. Your label order must match your plant order exactly. Our standard policy is to ship one label for each plant shipped. However, for Asparagus, Strawberries, and Convallaria, we ship 25 labels for every 100 plants shipped. All labels, regardless of type, are shipped 7-10 business days ahead of the plants. Any label orders received less than 10 business days prior to shipping will be billed at the Level 1 rate.